Revel in the beauty of nature as you allow yourself to be inspired by these wonderful drawings from the renowned natural history institution Deyrolle, and relax and unwind as you colour in the detailed illustrations. A relaxing yet highly creative way to free the mind, this pocket-sized colouring book will provide you with hours of enjoyment and relaxation. Explore your natural creativity with some stunning and exotic patterns to colour in, however and whenever you feel inspired, with this new pocket edition of The Creative Colouring Book. 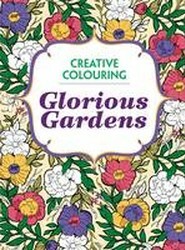 Glorious Garden uses Mother Nature as its inspiration in providing only the most organic and vibrant illustrations imaginable so you can unwind and relax as you embrace your artistic side. 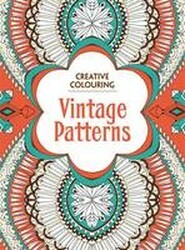 For fans of the elegant vintage style, Vintage Patterns: Creative Colouring for Grown-ups captures a day when art and design were in a truly golden age.